If you’re like me, I start creating a list of gifts for friends and family members almost as soon as the holidays are over…for the following year. I take notes on things they mention or snap pics while out shopping of things that would make fun stocking stuffers or white elephant gifts. Surprisingly enough, when it comes to my kids, I find myself withholding on the gifts a bit. As we know, babies require a lot of stuff, so when it comes to gifting, I prefer the gifts we give to be meaningful and timeless. This year, we took a less is more approach to our gift guide and are so excited to share our top picks with you! A journal to record sweet moments, a calm mind kit that teaches the beginnings of mindfulness and meditation, a balance bike to promote activity and mobility, are just a few of the items that can grow with the babes. A few of the gifts in the gift guide even give back, creating one more opportunity for a teachable moment. We’ve included our top 10 gifts for the littles this holiday season, each one sure to bring a smile to even the tiniest family members on your shopping list. Bonus, we’ve included cyber Monday codes for a few of them. Shop today! Merry, merry! 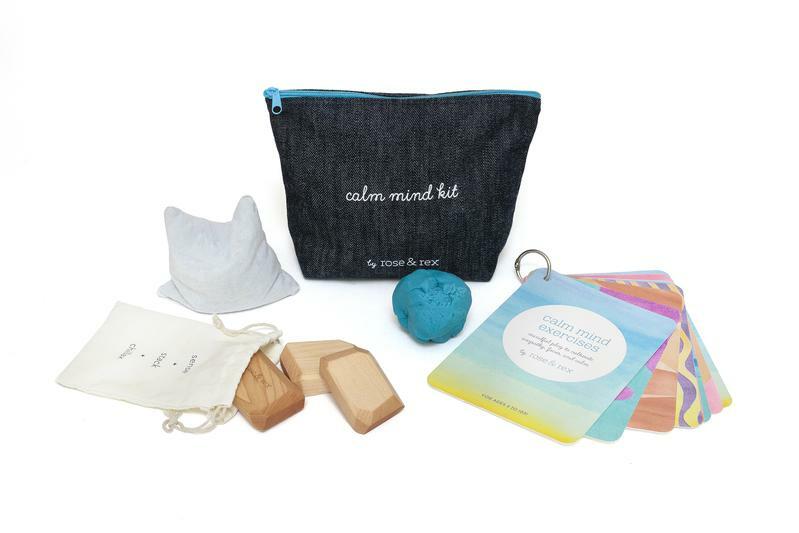 The Calm Mind Kit is a give-back toy that contains everything you need to introduce mindfulness and meditation to your little ones in a playful way. Designed to be used by ages 3 to 103, the kit teaches techniques that can benefit fidgety 4 year-olds, anxious 2nd graders, and even mama after a long day! The sale also includes a $10 Gift Card when you spend $100, $20 GC when you spend $200, and $30 when you spend $300! 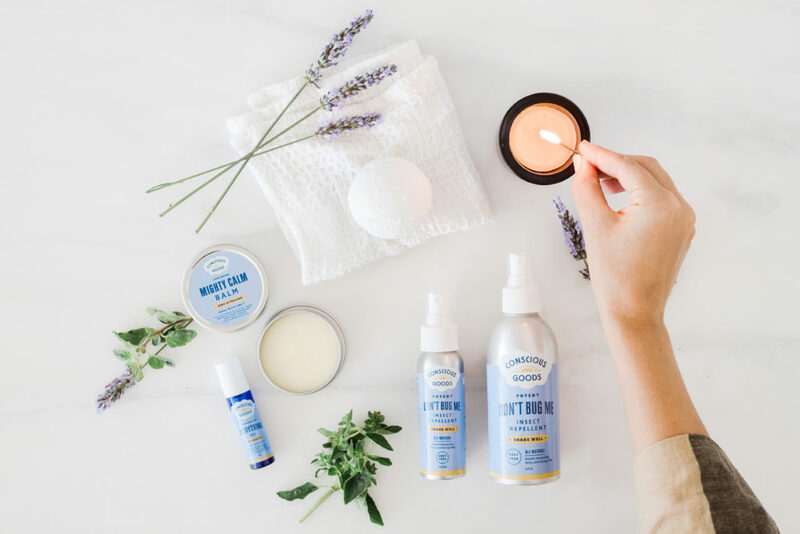 Conscious Goods is an all-natural home and body product line made with only natural ingredients and with environmental considerations in mind. The mom and daughter duo are passionate about making products that nurture families and the planet we all share. Made for the tiniest members of your conscious clan, because babies under 6 months are recommended not to use essential oils. It’s the same nourishing formula as their Mighty Calm Balm minus the essential oils of Lavender and Tea Tree. In addition to quickly calming diaper rash, the Mighty Calm Baby Balm is formulated for super sensitive skin of all ages. Free Shipping on all orders. Use code NEWSITE! 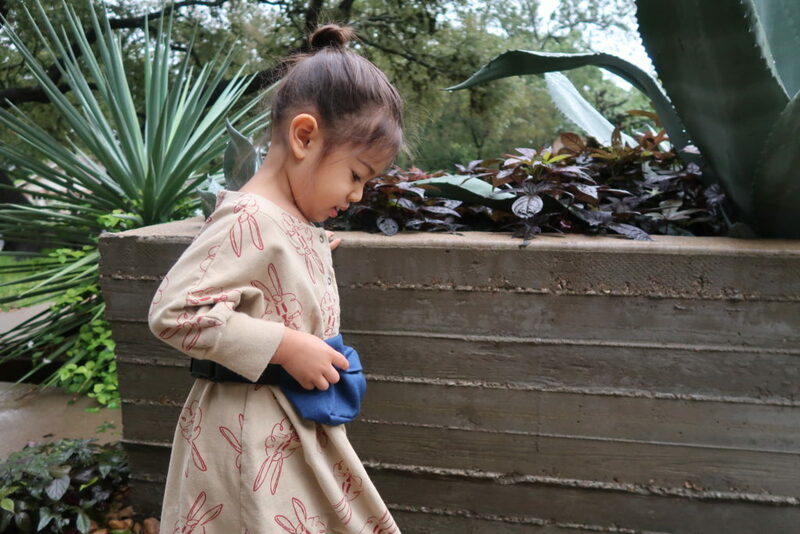 We love everything about Lemon Drop, a mobile children’s boutique based out of Austin, Texas. The owner and mama to two (due in a few months!) took what she learned about retail from owning her own women’s boutique and applied it to a remodeled airstream trailer featuring the cutest lines. It’s warm and adorable, just like her. One of our favorite items that she carries are the Banwood Bikes. Banwood Bikes FIRST GO! 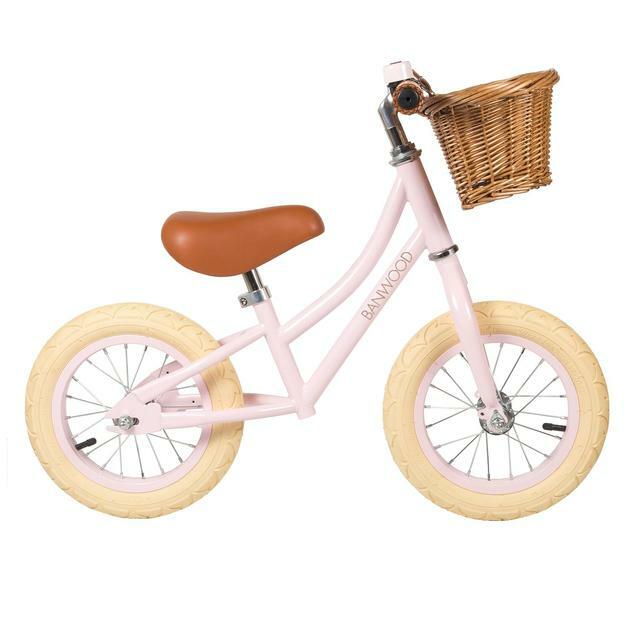 Is a safe and durable balance bike for children, designed to support your child’s development by promoting early cycling and mobility to ease the transition to a pedal bike. Dear One is a beautiful, modern alternative to the traditional baby book. 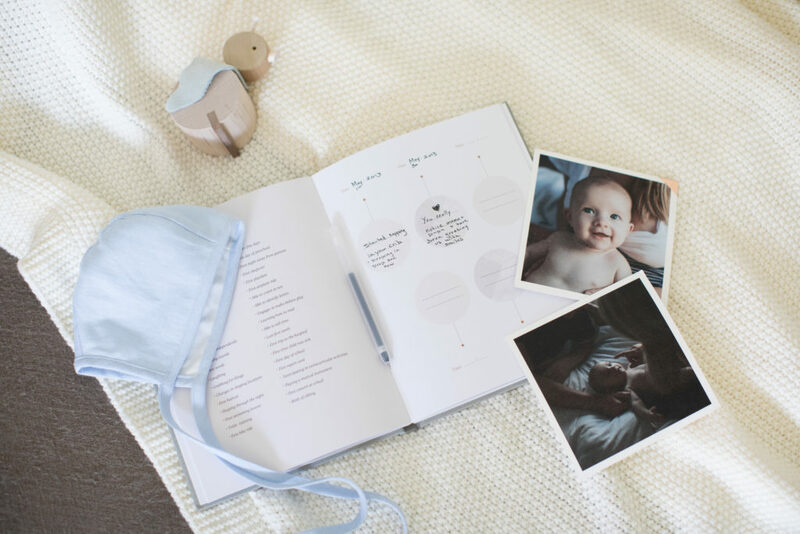 It is a timelessly designed, childhood keepsake journal for parents to reflect upon and document their child’s birth story, developmental milestones, celebrations, meaningful moments and family traditions. Dear One’s co-founder, a mother and family therapist, developed the journal to promote reflection and enhance the bond between parent and child. The unique depth of content helps foster thoughtfulness and togetherness, all while documenting a story worth preserving. The sweetest gift for new parents or a gift to your own child that you can build together over the years. The play gym that gives you a whole year of play! 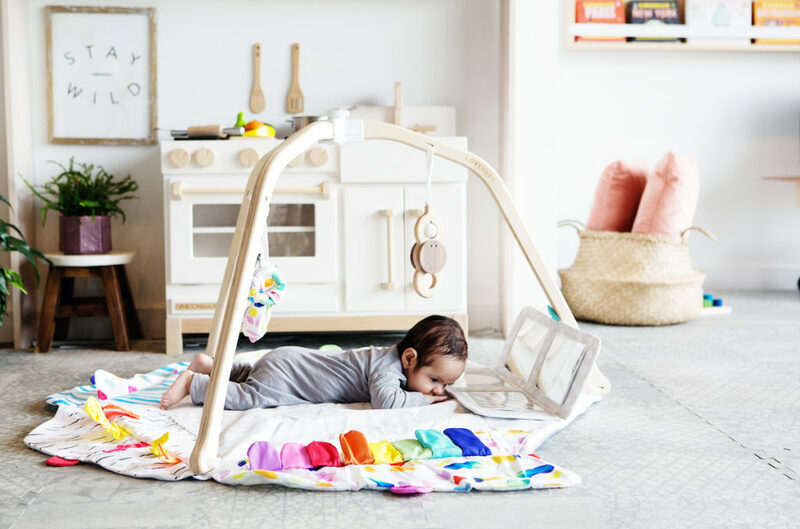 Lovevery’s award-winning debut product includes everything you need in an activity gym—from batting to teething to learning to focus—for a whole year of play. Their goal is to help every parent feel confident. Their play products are designed by child development experts and distilled to their simplest, purest purpose: to be exactly what children need at each stage. The sweetest keepsake dolls, we continue to add to our collection! Bowie has Lewis Toad and Grey is getting Oliver Mouse this Christmas. 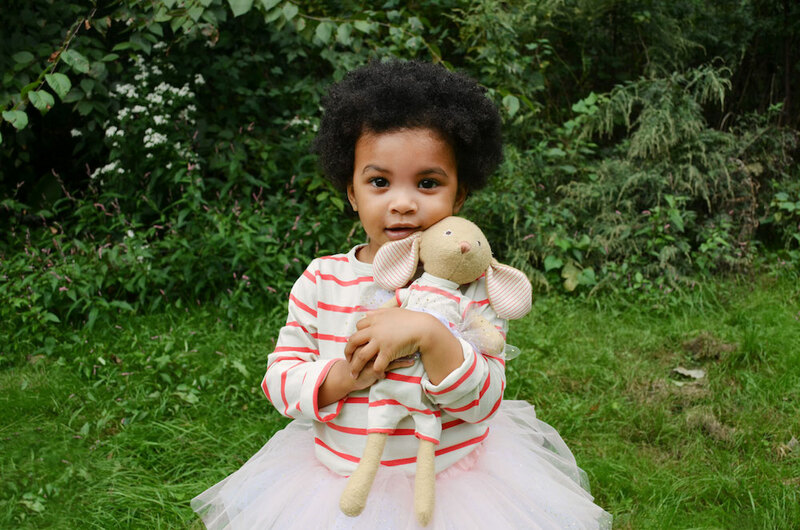 Hazel Village is organic, handmade woodland friends with interchangeable clothes, plus matching outfits for babies and kids. With each gift, empower children to make and imagine everything needed to bring their dreams to life with Hazel Village’s soft and whimsical stuffed animals. Each doll comes with its own name, special story, and characteristics. Fans can collect new accessories throughout the year and at Mini Market in spring. Although not available to the public just yet, our next pick Fannie Shop Co, is brought to you by one of our favorite local Austin shops, A Little Bundle. Annie curates the most adorable gifts for her build – a – bundle website where you can gift friends and family curated products for both the mom + baby! I used to subscribe and that’s how we met! Launching the weekend of December 1st, Fannie is a fun, adventurous and favorite bag for toddlers to pre-teen. They’re made to be durable for all adventurous and easy to clean in the washer and dryer! Your purchase contributes to her kickstarter for Fannie that will help to get them into production to keep the prices affordable and accessible while still being made in Austin. 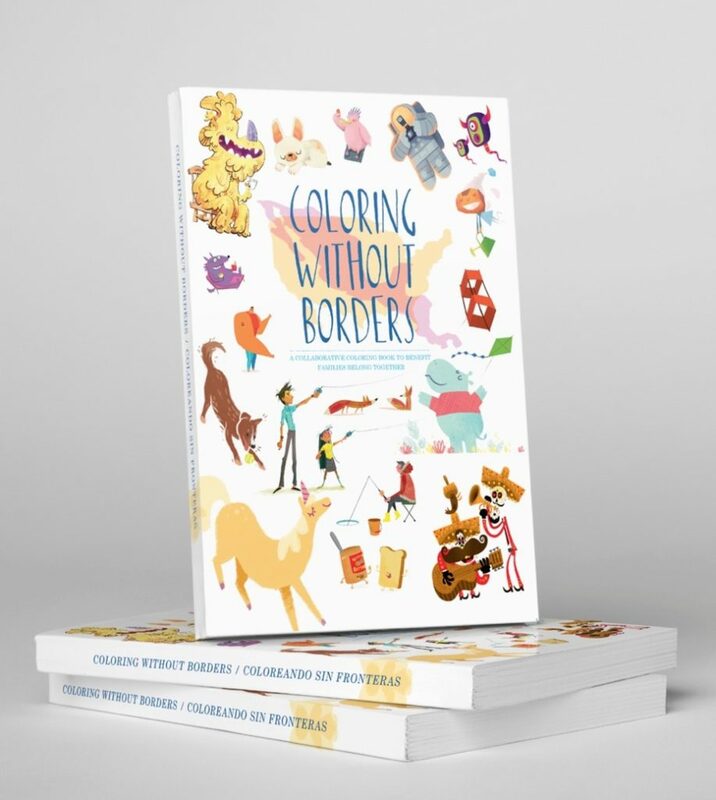 Our next pick is “Coloring Without Borders,” a coloring book with no lines or borders to color within. This is a collaborative project that includes over 80 artists’ work from around the world. Benefiting the organization Families Belong Together, 100% of the proceeds from this coloring book will go towards Families Belong Together to help continue their efforts. The hope is this book will inspire empathy and compassion for families that live free of the struggles that migrant families are currently enduring. Founded by a mama for whom multiculturalism is very important, Leo & Libra was born out of necessity. When founder Karen Trombetta couldn’t find a ‘big brother’ shirt she loved in Spanish for her son, she designed one. Designs now include Spanish and French. It’s no secret I am a big fan of June & January and can’t say enough about the Texas-based brand. 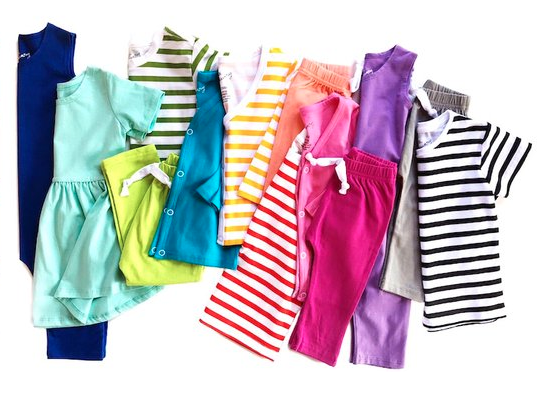 The company is run by mostly mamas so they understand our needs, kid sizing, and layering! We love how modern their pieces are making so many of them gender neutral. As if you need one more reason to love the brand, on Black Friday, they launched their new nursing-friendly J&J For Mama collection.